An overworked succubus seeks a vacation, only to find out that she signed up for more than she bargained for. Lerlun tapped the scroll on the table and shook hands with the human, careful not to squeeze the still-bleeding finger. She had always thought it silly to hold onto traditions like signing in blood, but whatever it took for the magic to stick. “It was nice doing business with you.” The woman nodded. This one had not wanted to seal the deal with a tumble. She just set her signature. Pity. Lerlun had learned control over the past year, she almost never slipped and devoured their soul anymore. But the deal still gave her an itch that would need scratching later. Lerlun popped into her body and stretched her wings, arching her back to work the kinks out. With her daily quota filled Lerlun began the mountain of related paperwork. Most of the work was in the computer system, but there were still a few old paper forms. Redundancy ruled, hell didn’t want to lose a soul just because someone flubbed up the paperwork. The workday ended with a tired sigh. Lerlun left the office, her hooves clicking on the stone floor. She took a ferry out to her neighborhood. Her area was a nice one, small families mostly, making their homes in the caves. She had taken this job to be able to afford a safe place for her baby. Not so easy on a single salary. The job was very demanding, but the pay was good. Once inside, she went straight to the breeder. Her breath caught in her throat when she realized that the box was dark. The egg was cold. She ripped the cover off the breeder to feel the surface. Her shoulders sagged as she felt the warm egg, the bulb must have just burned out. With trembling hands she fetched a fresh bulb and changed it out. She covered the box back up and then collapsed on the couch. She hoped nearly killing her child would be the worst thing she did this week. The sleep deprivation was taking its toll. If she had a partner, things would be different. No matter, she would make it work. She could rely on herself, she didn’t need anyone else. Lerlun let her exhausted mind wander as she tried to work up the energy to get dinner. Two mental trips in one day was really too much. No succubus should have to do that. She remembered her last vacation. That was a fateful trip, her coming cambion her souvenir. But the vacation itself was wonderful, quiet beaches and dark nights, warm breezes and frosty drinks. Lerlun closed her eyes and projected herself into a dream-state. Here she ventured into the dreams of humans. She found a likely candidate in a young man, a regular. The young men were so easy, seducing them took hardly any work. Actually devouring their souls was wasteful these days and frowned upon. But she could take a hearty gulp, enough to get her through to tomorrow. Unfortunately she was so tired that this time she lost control. Oops. Her boss waved her in, disturbing the cigarette smoke drifting around his impressive horns. He shifted a pile of papers over. Lerlun moved a couple books off the spare chair and sat. Lerlun’s hopes fell as she scanned the contract. She should not have been surprised. Deceit was to be expected when making a contract with a demon. 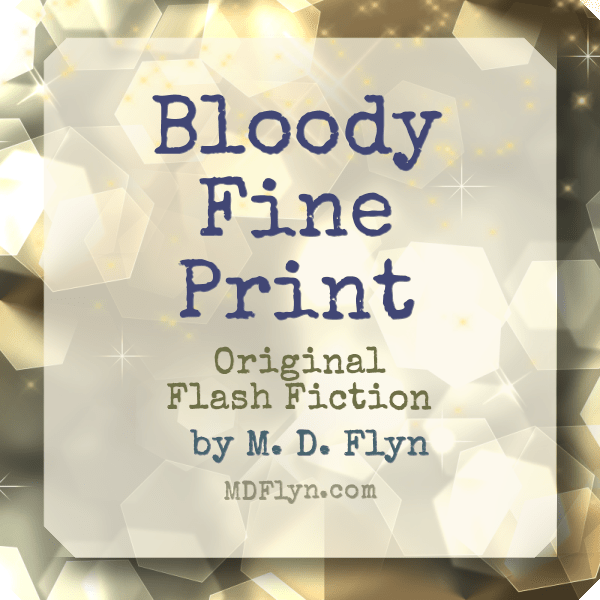 This is another 3-hour-session flash fiction, based on a prompt from Terrible Minds.